The VCA (Veterinary Chemistry Analyzer) is a blood and urine testing instrument that analyzes up to 12 biochemical tests simultaneously, using a single sample of either serum, plasma, or urine, in about six minutes. 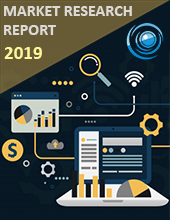 The global veterinary chemistry analyzer market will be growing at a CAGR of 8.7% to reach $1.55 Billion by 2025 from $0.94 Billion in 2017 during 2019-2025. Growing preference for animal derived food products, demand for consumables continue to increase in the global market, increasing the incidence of zoonotic diseases, growth in a number of veterinary practitioners, rising animal healthcare expenditure and growing demand for pet insurance are major drivers that are leading the growth of the market. However, the increase in pet care cost acts as a major restraint to the growth of veterinary chemistry analyzer market during the forecast period 2019-2025. Define, estimate, and forecast the Veterinary Chemistry Analyzer market statistics by product, application, animal type, end user and regions concerning the individual growth drivers, market trends and their contribution toward the Veterinary Chemistry Analyzer market growth. Provides comprehensive information regarding the key factors influencing the market growth (Drivers, Restraints & Challenges, and Opportunities). Recent competitive developments including M&A (Mergers and Acquisitions), Partnerships, and Product Innovations are provided in the Veterinary Chemistry Analyzer Market Analysis report. Analysis and conclusions on the future Veterinary Chemistry Analyzer market outlook. Top-down and bottom-up approaches are used to validate the Veterinary Chemistry Analyzer Market Size and are used to estimate the size of other dependent submarkets. Key players in the market are identified through various secondary sources; databases including Bloomberg Businessweek, Hoovers, Factiva, journals and associations and the market revenues are estimated and are thoroughly validated through primary and secondary research. Secondary research involves the study of annual and financial reports of top players in the market, whereas primary research includes extensive interviews with the KoL’s such as CEOs, directors, board members, VP’s, sales managers, engineers, marketing executives, technicians, account managers, investors, strategic decision makers and others. The Veterinary Chemistry Analyzer Market shares and breakdowns are determined using secondary sources and are verified by the primary sources. All possible parameters/factors that are affecting the Veterinary Chemistry Analyzer market demand are covered in the research study are verified through primary research, analysed and interpreted to get the final qualitative and quantitative data. This data is collected and added with detailed analysis from Envision Inteligence and presented in this report. Veterinary Chemistry Analyzer Market is segmented by geography into North America, South America, Europe, Asia Pacific, and Middle East & Africa. U.S., Canada, Mexico and Costa Rica are analysed under North American region which is usually turning as the hotspot in the market. The South American region is further segregated into Brazil, Argentina, Chile, Columbia and some other emerging economies. In Europe, the market is extensively examined by covering U.K., Germany, France, Italy, Spain, Netherlands, Poland, Switzerland and some other promising economies. The Asia Pacific is further categorised by countries into China, India, Japan, South Korea, Australia & New Zealand, Malaysia, Singapore and many other emerging nations. In the Middle East & African region, Saudi Arabia, UAE, Iran, Iraq, Qatar, South Africa, Algeria, Morocco, Nigeria and so on countries are evaluated to understand the market growth lucidly. Along with these companies, many other companies are considered in the report while analysing the Global Veterinary Chemistry Analyzer competitive strategies and environment. These companies held substantial share-owning to the nature of the industry whereas, the rest of the market shares are marginal chunks to regional and local level manufacturers. Other players also have considerable presence owing to its robust brand image, geographical reach and stable customer base.